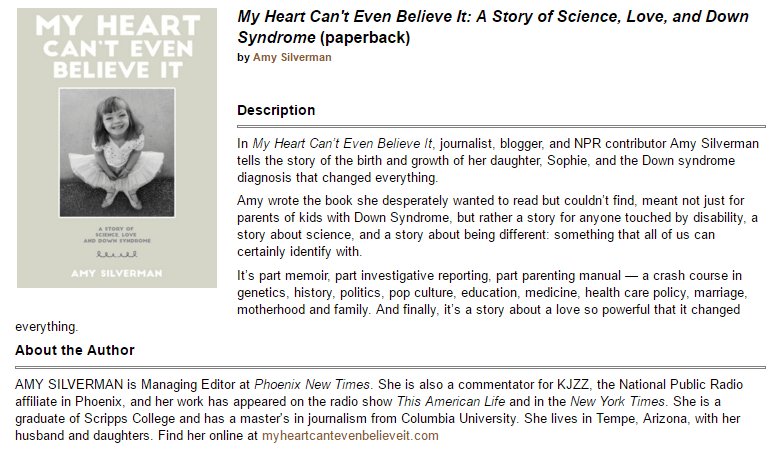 Join Amy Silverman to celebrate the launch of her new book, My Heart Can’t Even Believe It: A Story of Science, Love, and Down Syndrome on Sunday, May 1st, from 3pm-5pm at Tempe Changing Hands Bookstore. For tickets to the event and to pre-order the book, visit the Changing Hands website and/or the Facebook event. ← Apply to be an online Writing Fellow!